Fans are definitely for one crazy night at the upcoming UFC 128: Shogun vs Jones, as the constellation of MMA superstars are going to take the Octagon. The upcoming UFC 128: Shogun vs Jones is going to be a crazy night for fans. Many MMA superstars are fighting on the main card, including the much-awaited title match between Mauricio “Shogun” Rua and Jon Jones. Also included in the card is UFC newcomer, Urijah Faber, versus Eddie Winneland. Shogun Rua’s skills will be tested in the Octagon against Jon Jones. Both of them are very well-rounded fighters, but have distinctive fighting styles. Jon Jones has a very elusive stand up game, despite having no Brazilian Jiu Jitsu black belt. He has won Submission of the Night, and he can be a difficult opponent to take down. However, Mauricio “Shogun” Rua is no easy adversary. He has notable wins over Mark Coleman, Chuck Liddell and Lyoto Machida. Shogun Rua also has one of most impressive Muay Thai in the sports. Fans will definitely agree that the Shogun vs Jone match-up is going to be an exciting bout to watch out. Also fighting on the main card will be Urijah Faber vs Eddie Winneland. Urijah Faber was the former lightweight champion of WEC. This time, he’s going up against a difficult dark horse in Eddie Wineland. These former champions will be making their UFC debut at UFC 128. Urijah Faber is a Brazilian Jiu Jitsu black belt, has seven knockout wins, very dimensional, and can adapt. Eddie Winneland, on the other hand, is a hard-hitting boxer with a four-fight victory streak. Is he ready to take on the more experienced Urijah Faber? Meanwhile, Nate Marquardt is making a comeback, as he faces Yoshihiro Akiyama at UFC 128. Yoshihiro Akiyama is coming off a two-fight losing streak, and desperately needs to win this fight if he still wants to go on in UFC. Nate Marquardt, on the other hand, will be carrying a lost from Yushin Okami. Who’s going to have a redemption in the upcoming UFC 128? How about you? 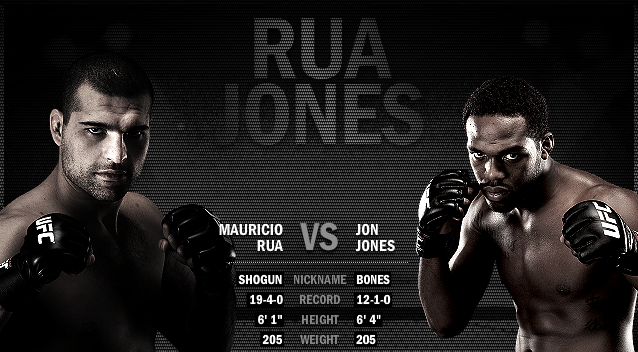 Who’s your bet for UFC 128: Shogun vs Jones? Let your thoughts be heard by leaving a comment below.